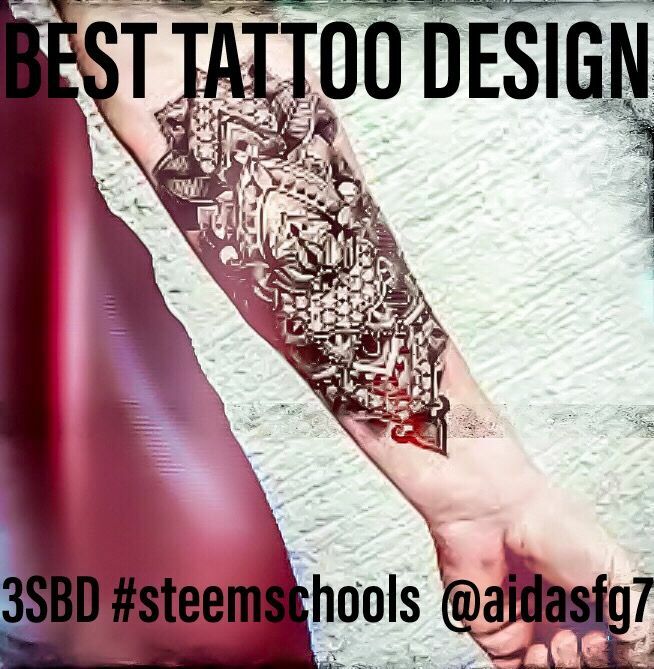 This is a competition for the most beautiful ‘Art of Tattoo! You have to reveal the source where the Tattoo was done! It could be colored, sepia, or black and white. It does not have to be your tattoo, it could be your tattoo or friend’s Tattoo, It should be originally yours or your friends! The most important is ‘the design’! Post your or friend’s ‘Tattoo Art’! You can only vote once for a certain participant, and can vote any participant you feel who deserves it! You cannot vote for yourself! Voting last for 7 days! Thank you to all Users who participate in this competition, and watch for more thats coming! God bless! Come and join! You’ll have fun! This post has received a 2.40 % upvote from @booster thanks to: @aidasfg7. Great! Come to steemschools at: https://discord.gg/napcNZk, see you there and join all the challenges! Try and check number of the people that visit class and number of people that is a member . low! I visited the class just twice and didnt even enjoy it. I am sorry to tell you that you’re mistaken! The school do have a ‘general chat’ at the same time while the class is going on! You can type txt, question whatever you want and he will answer you! It’s in the channel itself. If you can’t find it, you can ask anybody in general chat and it will be answered at that moment! Hope you understand this! If not go to https://discord.gg/napcNZk, and ask people there. Nobody is neglected there! See you there! And thank you for letting us know your concern!